CoverCraft/Colgan Custom, the industry leader in design and technology, has developed the first carbon fiber vinyl bra. This is the first major innovation in vinyl design since Colgan first introduced bras to the automotive industry in 1961. 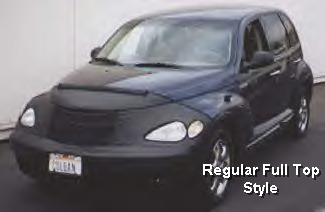 Inspired by the growing demand for carbon fiber throughout the industry, this new look compliments any vehicle and is now available for all PT Cruiser models. We are so proud of our car bras that we emboss our logo along the bottom edge of every bra as your assurance that you have purchased the finest car bra available. 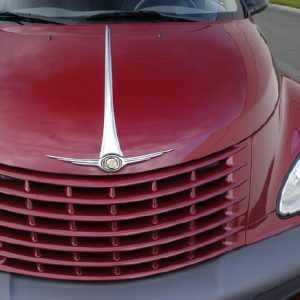 Give your customer’s vehicle year round protection against nicks, stones, bugs and flying debris with a CoverCraft/Colgan Custom Bra and Mirror Bra. Our flannel backed vinyl is 25% heavier than our competition. 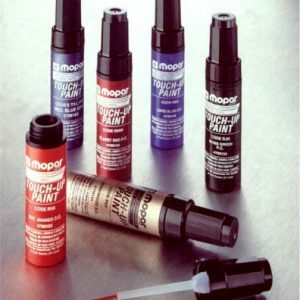 This provides added quality and protection. Fit is where great looks start, and nothing fits your vehicle as well as a CoverCraft/Colgan Bra. It complements the vehicle“s lines and gives that sporty look so popular today. The multi-piece bra was designed by Colgan over 25 years ago. Our bras today reflect the refinement and innovation we“re know for. The Colgan multi-piece design allows the hood, pop-up headlights and headlight wipers to operate normally. Beware of multi-piece brands which use snaps and/or Velcro“ that restrict normal operations. At highway speeds, where you need the most protection, it“s obvious that CoverCraft/Colgan Bras have been individually tailored to suit the vehicle. The fit stays snug with no paint damaging flap or flutter!